Happy Friday! Where would you be without your friends? I cannot imagine my life without my friends because they have become my family that I have chosen for myself. Through good days and bad; my friends are my rock to help me get through the storms and the sunshine. 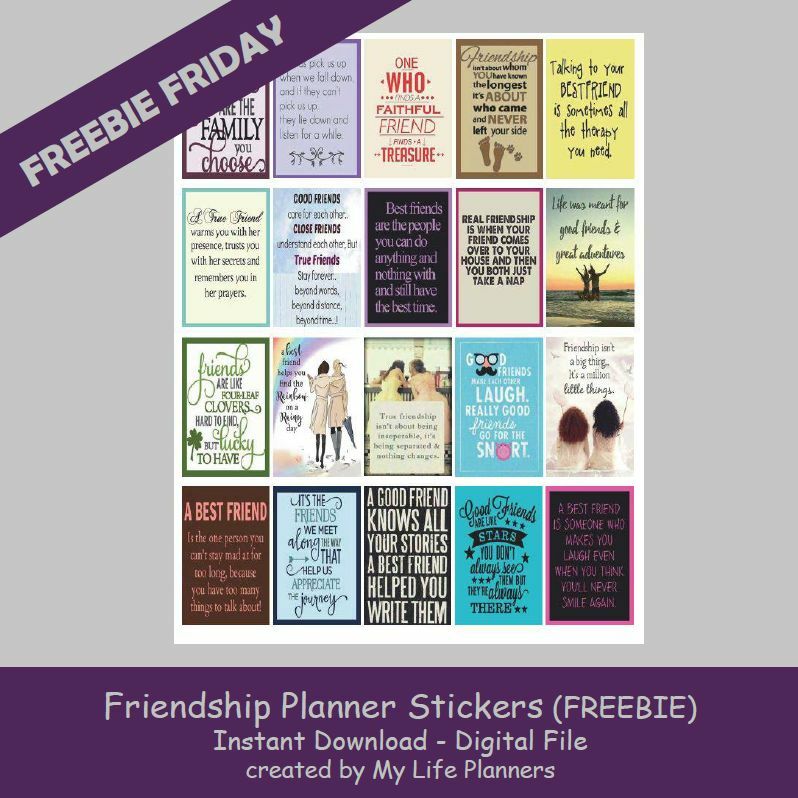 August 6th is National Friendship Day so to help you get your planners ready this week’s Freebie Friday feature is dedicated to Friendship. Remember your friends and show them how much they mean to you with a cup of coffee or lunch date on August 6th.